Next year, the forklift will celebrate its 100th birthday. The issue of workspace design and ergonomics has become increasingly important particularly in the last 30 years, an ergonomic driver’s workspace is one of the most important criteria in the acquisition of new forklifts and technical warehouse equipment. Which solutions have a particularly positive effect on the posture and health of the driver? There are now many solutions and equipment variants that should protect the driver from the high levels of strain and maintain performance. The human vibrations that occur particularly during travel and the typical head and arm movements are frequently the cause of health problems with the back and specifically the neck and shoulder area for forklift drivers. 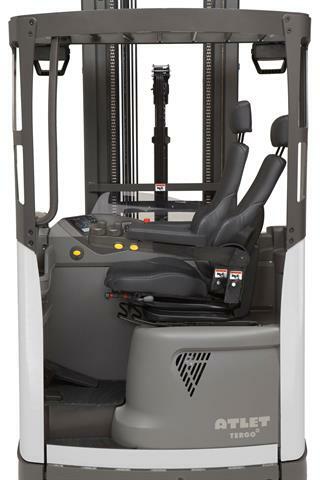 The ergonomically driver’s cab offers comfort and avoids signs of fatigue during forklift operation. 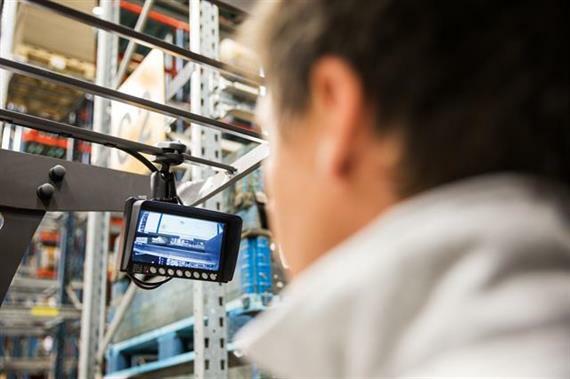 A study in Gothenburg in co-operation with UniCarriers Group has shown that forklift drivers turn their head more than 1,000 times per hour and make up to 2,000 arm movements. The protection of health above and beyond the statutory requirements is increasingly becoming a focus of employers. Thus, the issue of ergonomics is also a decisive factor for an increasing number of operators in the purchase of new equipment. An ergonomic and user-friendly workspace improves safety in the subsequent operation of the vehicle. This includes the layout and functionality of the intuitive controls as well as a comfortable seat and good visibility on all sides. Tapered ribs in the protective cover ensure good visibility even when stacking at great height. An investigation by the “Energie Textil Elektro Medienerzeugnisse” (energy, textile, electrical, media products) professional association shows that 77 percent of all forklift accidents are impact accidents, 33 percent of which happen when reversing. With a high seat position, large fields of vision, mast profiles and optimum arrangement of the hydraulic hoses and electrical cables the protective cover ensure good all-round visibility. UniCarriers offers its forklifts with an anti-reflective colored coating of the cab roof. To help, camera systems can improve forward or rear visibility. To avoid strains on the body the sideways seat direction is part of the industry standard. 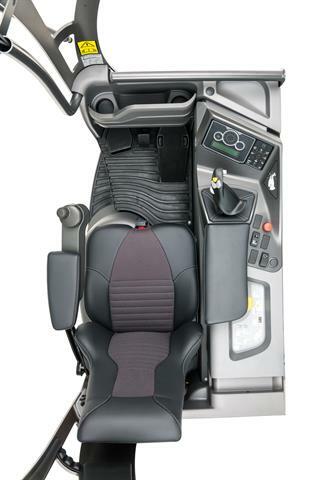 The driver’s seat can be adjusted individually for size and weight to an optimal position. Premium suppliers such as UniCarriers offer a height-adjustable floor and comfort seats and individually adjustable lumbar supports. In 2011, Chalmers University of Technology in Gothenburg, Sweden conducted an ergonomic study with reach trucks from different manufacturers. “The result shows that the Tergo reach truck from Atlet by UniCarriers allows a more ergonomic posture than other reach trucks. 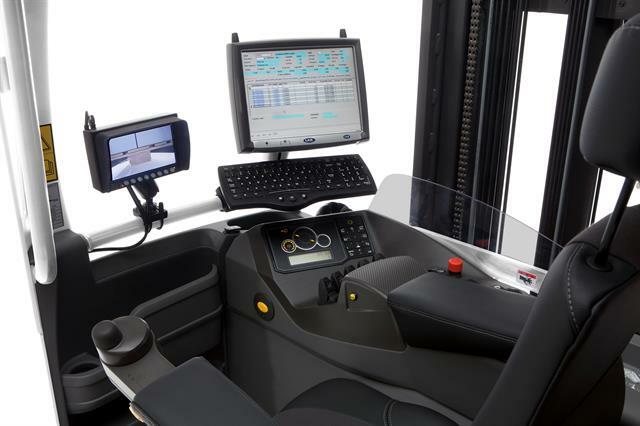 The on-board computer saves the personal user profiles of different forklift drivers. Ergonomics has a long tradition in the history of UniCarriers and TCM. The strains on drivers were investigated in 1989 to 1991. The findings had an impact on the development of new drivers’ workspaces and vehicles. With the merger of the brands Atlet, Nissan Forklift and TCM to form the UniCarriers group in 2011, this tradition and the endeavor to constantly improve vehicle ergonomics were continued. With the new Tergo URS swivel reach truck from the Atlet by UniCarriers product family, the driver can recall numerous individual settings at the start of driving by a personal PIN code. For an ergonomic posture in all work stages, the backrest can be tilted backwards by up to 18 degrees. This strain is reduced by the seat tilt function. To relieve the strain on the driver’s arm and shoulder area, UniCarriers has developed the individually adjustable “floating” armrest. At the end of this mobile, sprung armrest is the patented mini steering wheel, an ergonomically optimized solution with its palm-sized functional surface. All operating elements for the lifting functions can be reached from the right armrest in the form of mini levers and buttons. Premium manufacturer UniCarriers also offer an integrated joystick as standard, with which all the major functions of the lift mast can be controlled. This allows the forklift to be easier to operate, saves time and increases the handling rate, as several functions can be performed simultaneously. Both armrests are height-adjustable to encourage a relaxed sitting position. The driver travels forwards for around 70 percent and in the direction of the forks for around 20 percent of the working time. Here, the left arm is employed with moving the steering wheel for up to 74 percent of the time. A forklift driver should feel comfortable in the workspace. This is accomplished by ergonomic vehicle and cab equipment, which reduces strains and thus protects the health of the driver. Signs of fatigue can be prevented and staff shortages due to illness can be reduced. The manufacturers offer numerous equipment variants and innovative solutions. 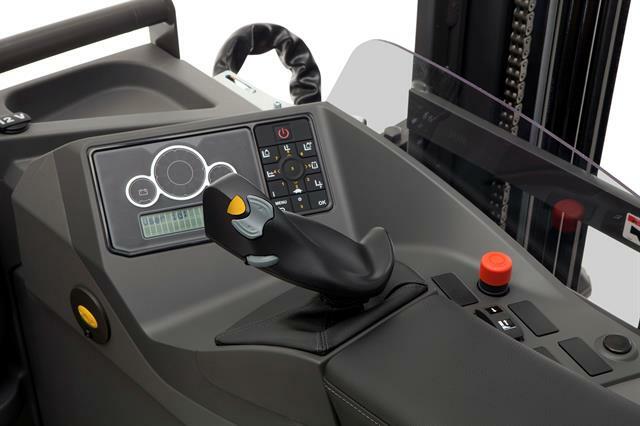 The trend is towards greater capacity for personalization of the forklift. Additionally, the vehicles are becoming ever quieter. The winner from this development is not only the driver but also the operator. Ultimately, the operator benefits from high productivity and operating safety. KMH is committed to and focused on Forklift Ergonomics. Contact your local KMH Representative at 888-564-7978 or use the form below if you would like more information on UniCarrier Forklifts. Forklifts Designed To Raise Productivity While Lowering Costs. Indoors & Out! No other forklift is designed to move so seamlessly from indoors to outdoors. Nomad’s exclusive design combines a compact, high maneuverable chassis to navigate warehouse aisles. With a rugged frame and wide stance for exceptional outdoor performance. Nomad Delivers Greater Uptime, Advanced three-stage cooling system for greater dependability, On-board diagnostics for faster, easier servicing, & Simplified LP tank changes. Nomad Delivers Greater Operator Comfort, Spacious compartment has generous foot, leg and head room, Comfortable full-suspension seat features lumbar support, & Superior visibility.